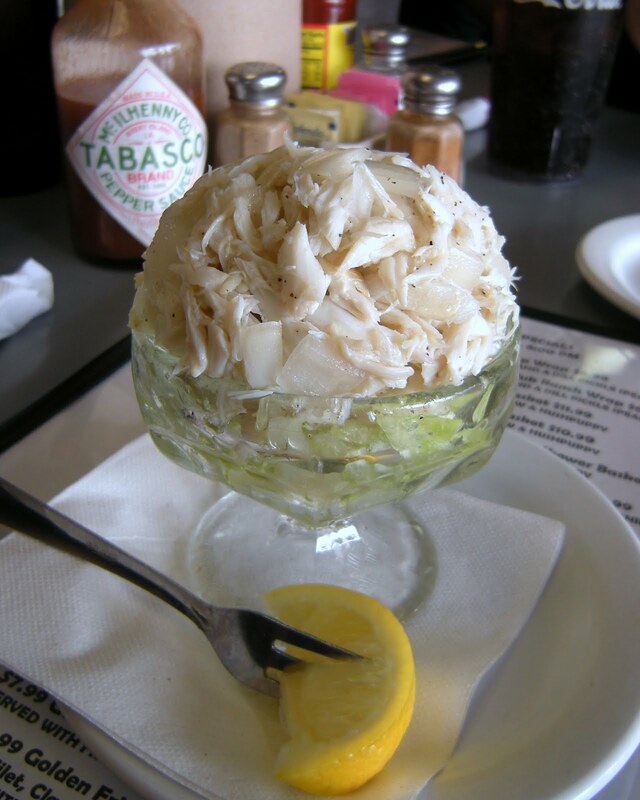 This entry was posted in Cuisine, Recipe and tagged Alabama, Beach, Blue Crab, Coast, Costal, Crab, Cuisine, Culture, Dining, Food, Foodie, Healthy, Recipe, Salad, Seafood, Southern, Southern Food, Tradition. Bookmark the permalink. Mmmmmm adding crab to my shopping list this week. A bit of home up here in the snowy tundra of PA. But there is a mistake in the way this recipe is given. Having lived in Mobile for sixteen years and having served and been served this dish more times than I can count, even though the ingredients and proportions do not change, the success of the dish does for two reasons. (Older Mobilians always tells me that mine is the best because it tastes like they remember from Mr. Bayley, RIP. 1. Marinating time, as noted above. (I usually make it in the morning and serve it as a first course in the evening. 2. There should be layering on two levels, which the recipe above misses. To wit: a) Put half the onions on the bottom, then all the the crabmeat, then the remaining onions. After adding salt and pepper, add the oil, vinegar, and ice(!) water, in that order. DO NOT COMBINE OR STIR until just before serving. And then, only lightly toss. I haven’t figured out why, but combining before marinating changes the flavor for the worse. In the instructions of the original recipe that Mr. Bayley gave to the Junior League of Mobile, the instructions are as I have noted here. If you have left over salad do you take the crab out of the marinate? I’d probably toss out any leftovers. Crab in acidic solution for a long period of time would probably get quite unpalatable. Anyone else have experience with this? The West Indies name wasn’t a marketing ploy. Bayley was in the merchant marine and he got the idea for the dish from the ceviche he encountered down in the islands. True story, from a Mobilian.